I am predominately a studio painter. I feel most comfortable there. 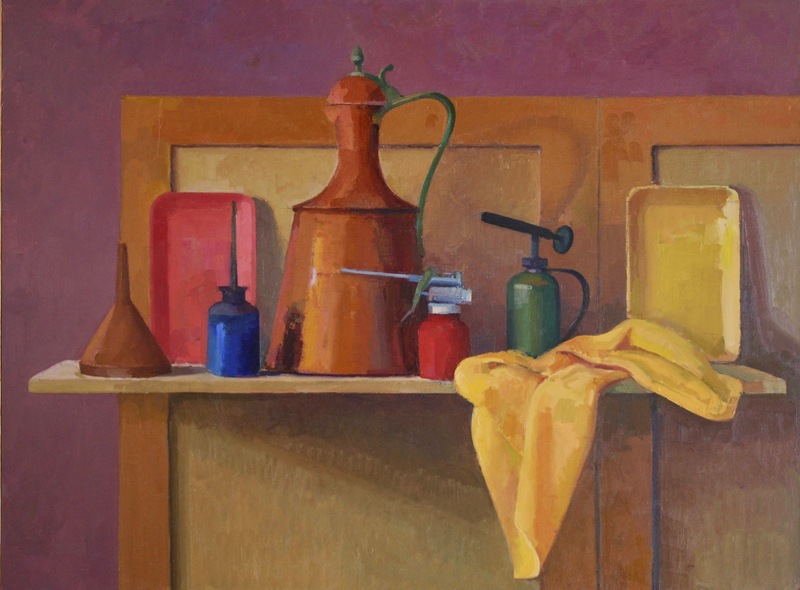 Being a perceptual painter and a collector of objects it is only natural that my main subject as a painter should be still life. My love of objects goes back to my childhood when the simplest of things would keep me looking and wondering for hours. There could be any number of reasons for the attraction, some of which would be size, shape, color, surface and texture, etc. and if the form had moving parts all the better. The interest in the object has only gotten more intense with time. Now I find myself spending hours arranging these objects in some way so as to satisfy a need for harmony, design and solidarity. The fact that many of the things I use have a history that I do not know is not lost on me. Almost all come from a different place and time. This only increases the attraction. 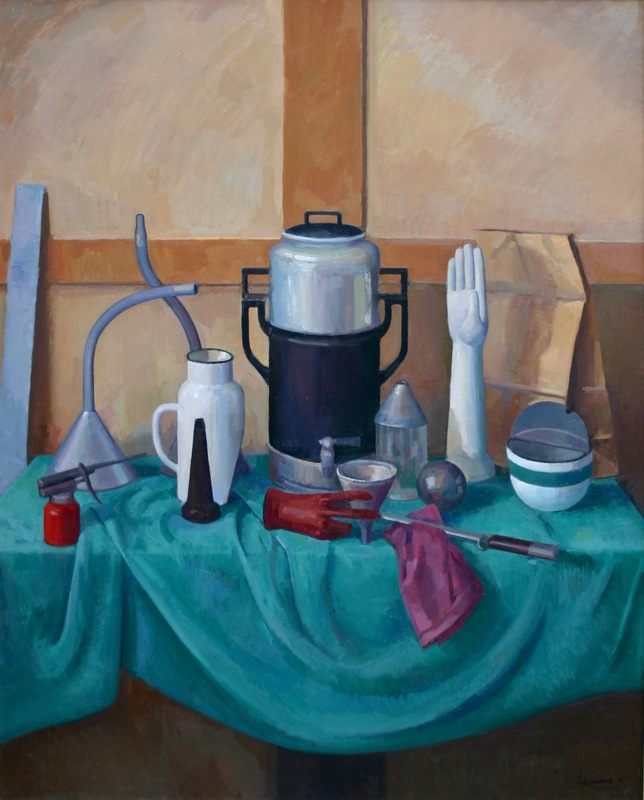 The construction of the still life has a certain ritualistic quality to it. This lends itself well to the whole reverential thing that is building as the painting develops. One of my goals is to translate this to the viewer along with all the formal needs in painting. My other desires are to ensure an understanding of my place in a tradition that was born in the Renaissance, which includes a holistic reverence for nature and the mystery of life. 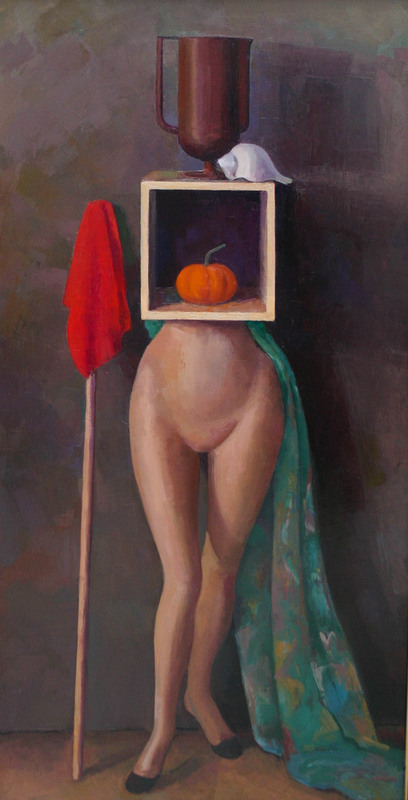 I want to speak to my time as a modern artist steeped in the tradition of painting. I have a desire to create the world as it might be and to understand the underlying need for doing so and to be sympathetic to the desire to express this need with paint in the twenty first century. 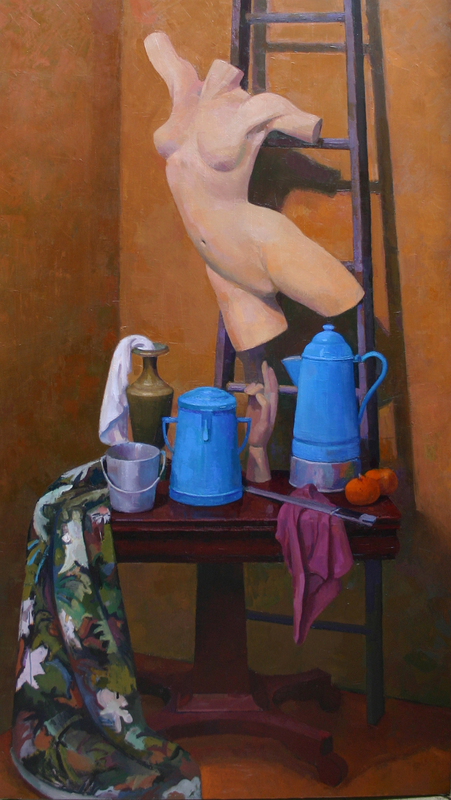 James Fitzsimmons received a BFA from the Maryland Institute, College of Art, and an MFA from the City University of New York, Brooklyn College. 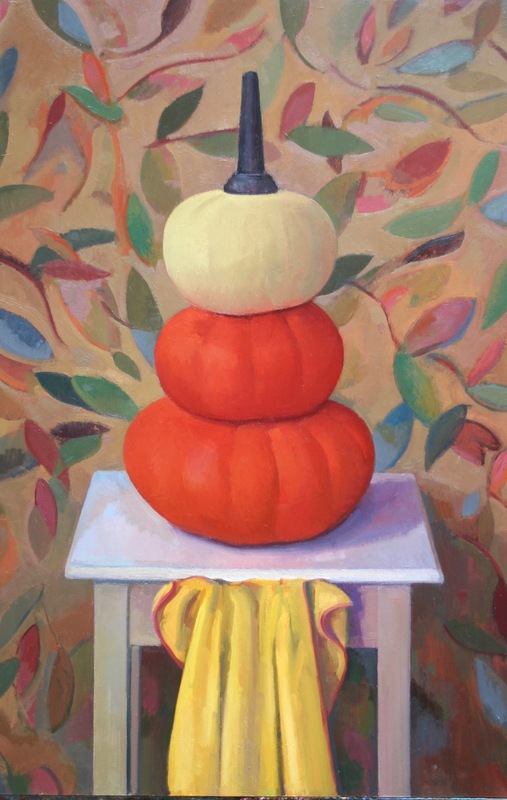 His awards include a Governor’s Scholarship to the Skowhegan School of Painting and Sculpture, the Charles G. Shaw Painting Award from Brooklyn College, and he is a two-time winner of the Maryland Federation of Art’s Tilghman Award. 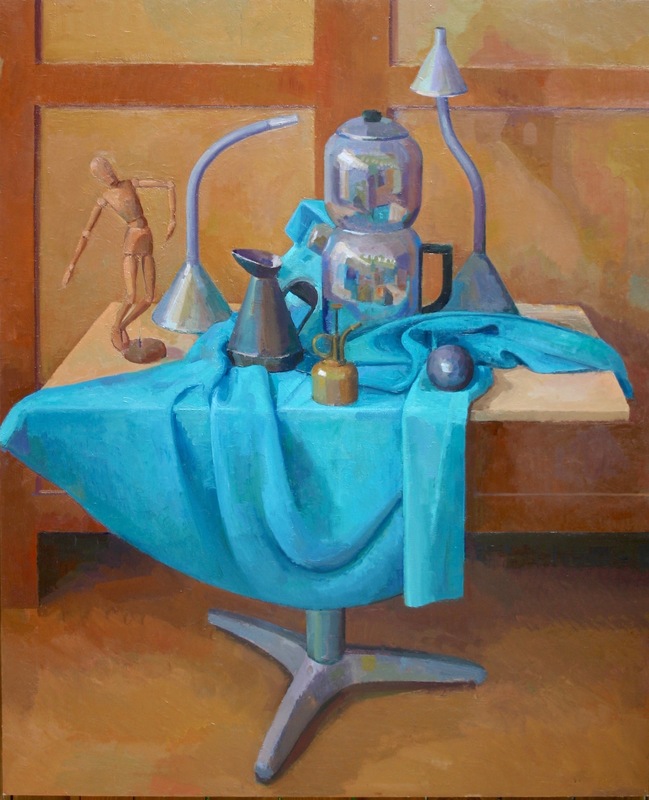 James’s work has been shown in galleries throughout the Northeast, and was most recently featured as part of the Mitchell Gallery’s show A Lineage of American Perceptual Painters. He currently teaches at Anne Arundel Community College in Maryland.